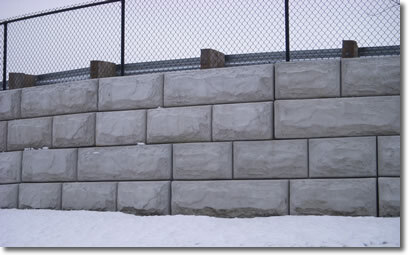 Examples of Retaining wall construction using various materials. 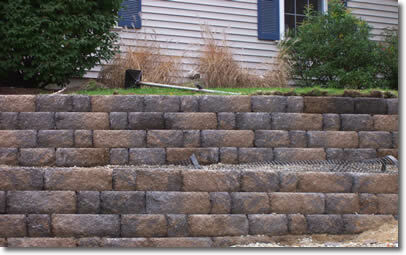 The material to use depends on the purpose of your retaining wall. 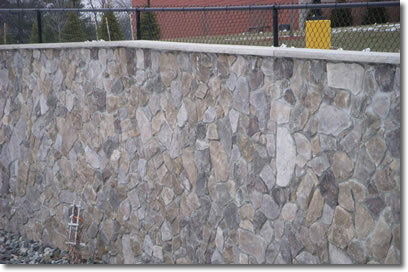 Common retaining wall materials include natural stone and pre cast faux stone, bricks, concrete, treated wood, steel, or railroad ties. 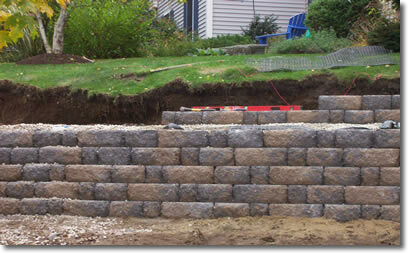 The use of bigger stone blocks or concrete masonry if you're leveling a steep sloping yard, and you need smaller stone blocks if you're only building a garden retaining wall and want to create tight curves. Below are a few examples or our work. Because of the size of the block used a only a gentle curve is able to be obtained. 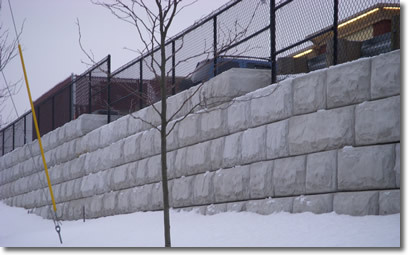 When the wall will be Highly visible and the will effect curb appeal, the use of decorative masonry products can bring added value to your property. will bring a high end finished look to your project. to many issues where strength and curb appeal are required. 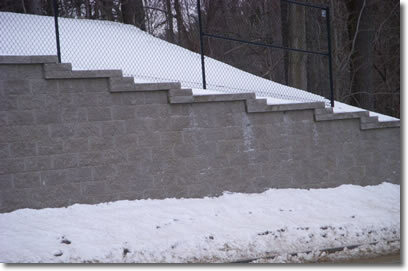 Small Block walls can create stunning landscapes. Preparation is the key to long lasting structure. and buckling caused by frost. Wire mesh is used to tie the wall to the ground. 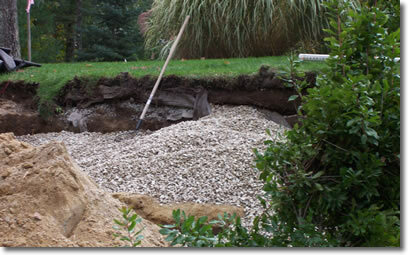 directs water under the wall through the gravel base. 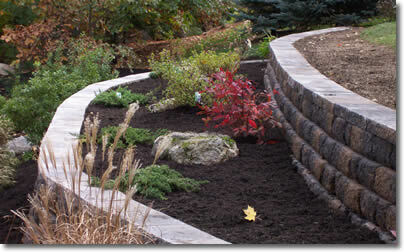 creates an additional planting area for a beautiful finished look.